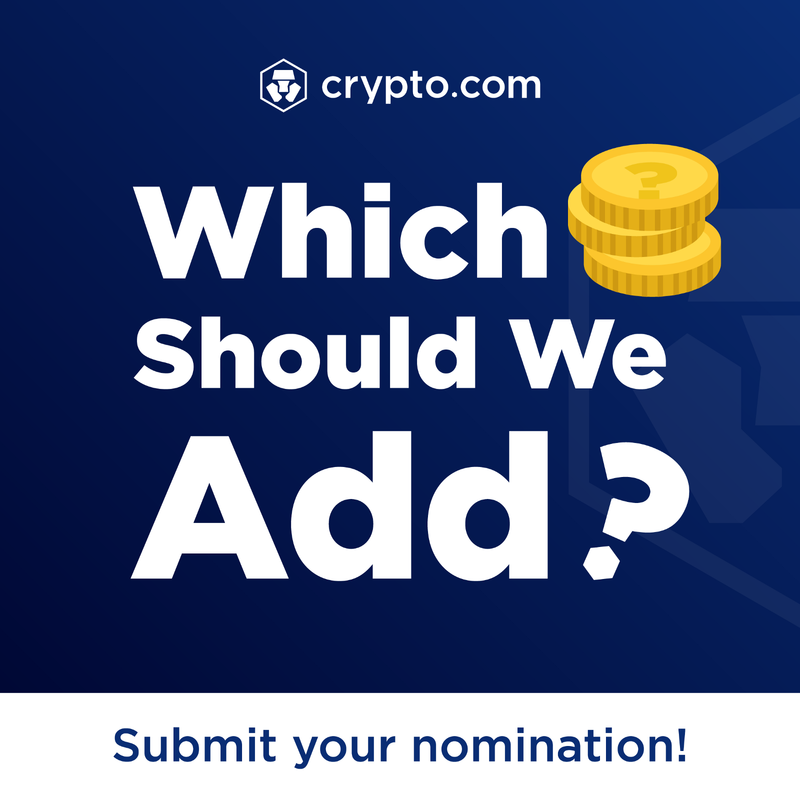 Crypto.com Opens Nominations for Listings on its Wallet & Card App. From the nomination form, our team will review the digital asset and make contact with the team to discuss in depth. Note: All employees of Crypto.com are subject to trading restrictions and confidentiality agreements.